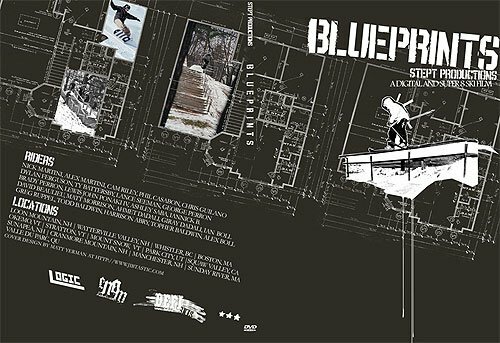 Stept Productions recently finished editing this years feature film, Blueprints. The films captures skiing action all over north america both in the park and and at urban spots. With segments packed full of riding from some of the best upcoming talent in skiing this MiniDV and Super 8 film is sure to please. So is the price, at only $12 along with free shipping it's a DVD that is worth owning. Plenty of bonus features and extra footage to go along with it. It's easy to perchase, at http://www.steptproductions.com and soon to be on Jibij Proshop and in other stores across the U.S.
We caught up with Nick Martini of Stept Studios to talk about their business beyond ski films, and how they continue to integrate the sport.